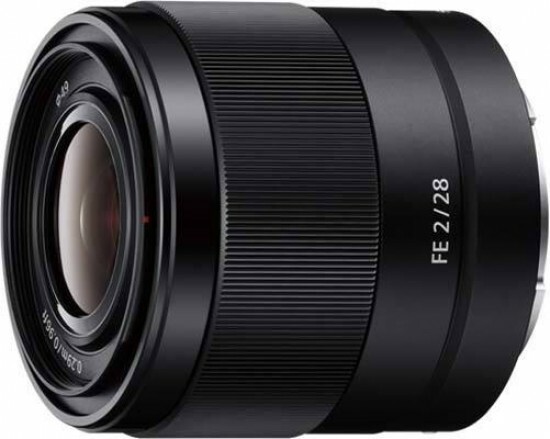 Listed below are some of the rivals of the Sony FE 28mm f/2. The Canon EF 28mm f/2.8 IS USM is a new wide-angle prime lens. Boasting built-in image stabilisation and fast and quite auto-focusing, the EF 28mm f/2.8 IS USM is a more affordable but still very capable alternative to Canon's professional wide-angle primes. Read our in-depth Canon EF 28mm f/2.8 IS USM review complete with full-size sample images. The Nikon AF-S Nikkor 28mm f/1.8G is a new wide-angle prime lens. Aimed mainly at full-frame DSLR users, but also compatible with DX bodies where it provides a focal range of 42mm, the AF-S Nikkor 28mm f/1.8G is a more affordable alternative to Nikon's professional wide-angle primes. Read our in-depth Nikon AF-S Nikkor 28mm f/1.8G review complete with full-size sample images. The M.ZUIKO Digital ED 12mm f/2 is a new wide-angle lens from Olympus for the Micro Four Thirds system. Offering a 24mm focal length, fast and near-silent focusing and a bright maximum aperture of f/2, this all-metal lens makes the perfect wide-angle partner for the E-P3. Read our in-depth Olympus M.ZUIKO Digital ED 12mm f/2 review. The Samyang 24mm f/1.4 ED AS UMC is an ultra-wide-angle prime lens for full-frame and APS-C DSLRs. The Samyang 24mm f/1.4 is a more affordable alternative to the Nikon and Canon equivalents thanks largely to being manual-focus only. Read our in-depth Samyang 24mm f/1.4 ED AS UMC review complete with full-size sample images.